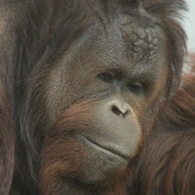 There are currently 1 orangutans living in Kobe Oji Zoo. Tel. no. 078-861-5624 Fax no. Opening hours 9:00-17:00 (March-October)<br>9:00-16:30 (November-February) Closed day Wednesday (Opens the zoo when Wednesday is national holiday). December 29-January 1.